Totally non-essential but completely fun. A gentle, unassuming, little book of projects. The real emphasis here is on the decorating, with lots of tips that could be adapted to any cake or cupcake recipe. I probably won't spend a lot of time with this one but the writing and design are cute and nice, and for the right obsessed fan, it would be a perfect gift. This is such a cute cookbook! I won a copy from a Goodreads giveaway and it was so much fun. My niece and I have made many of the goodies. They turned out well and tasted great. 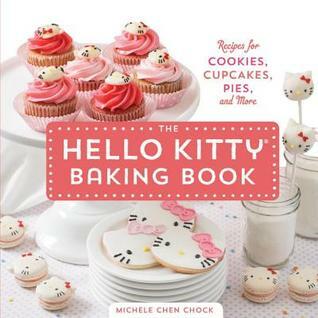 This would be a great gift for a little girl who's interested in baking. Fun to flip through for adorable photos, but the recipes and techniques here are real - this is the one Hello Kitty craft book that I might likely actually make something from.